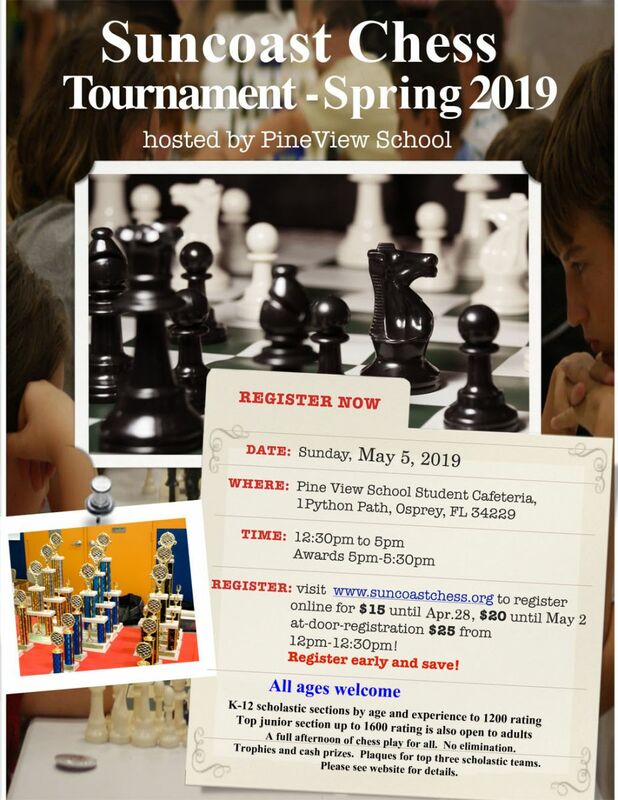 Our next tournament will be held on Sunday May 5, 2019 at Pine View. Discounted online registration will be open soon. 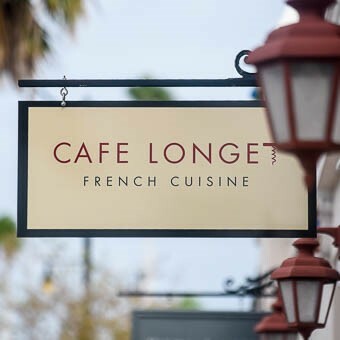 Sunday, April 14, 9 a.m. to 6 p.m.
Must register by April 8, Please call the office number (941.627.1074) to register! After jointly watching and analyzing the second game of the World Chess Championship match between Magnus Carlsen and Fabiano Caruana for 2 hours, 16 players competed in the 5 round Sarasota Chess Academy November Open. National Master Ronald Holt from Holiday (FL) played his first tournament in 14 years. Just like Jeffrey Ward he showed the courage to return to tournament play and enjoy a good chess battle without worrying about his rating. 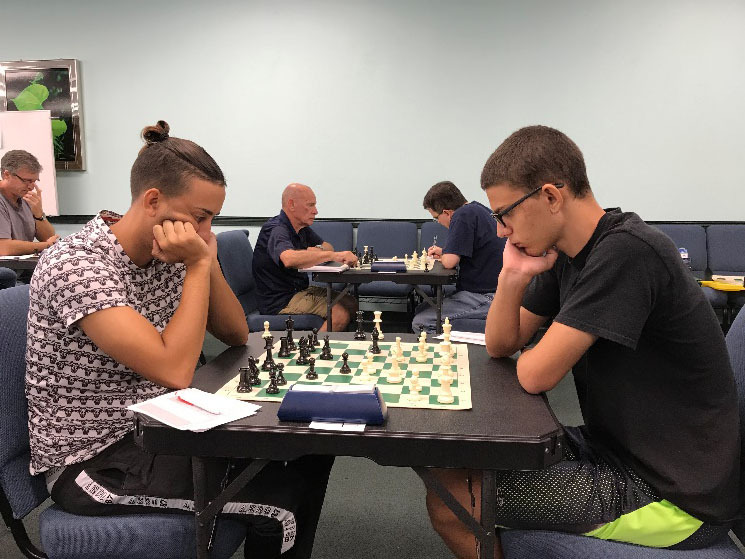 Sarasota Chess Academy celebrated National Chess Day by organizing a 5-round USCF tournament in the G&G Bridge Club on Bee Ridge Road in Sarasota. The 18 participants were a mix of strong experts, aspiring youth players and experienced seniors. Gabriel Morris played his first USCF tournament and booked his first victory. Tournament Director Han Schut awarded Gabriel for his courage and performance with the book ‘Strike Like Judith!’, a fitting prize as Judith Polgar organized today the Global Chess Festival (#ChessConnectsUs). 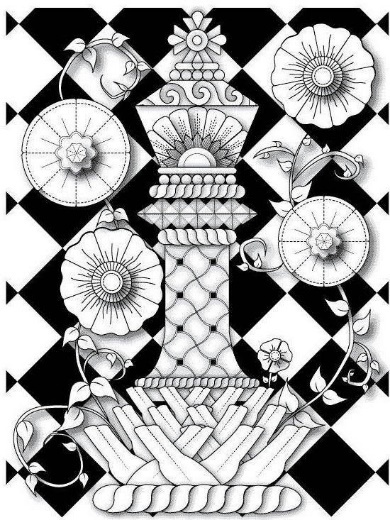 National Chess Day - Special Events! Our spring tournament, held at Pine View School, with results and photo gallery. Our winter tournament, with 62 participants in four sections, from K through 12th grade. Our second tournament, held at Faith Lutheran Church. 39 players, including K thru middle school. Our first city-wide K-5 tournament, held at Selby Library, in May 2012. Video from SNN and gallery from the Observer. 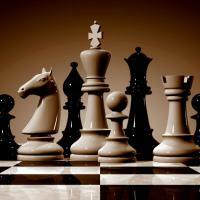 Come play chess at one of several area meetup sites, including the new SARASOTA CHESS CLUB! 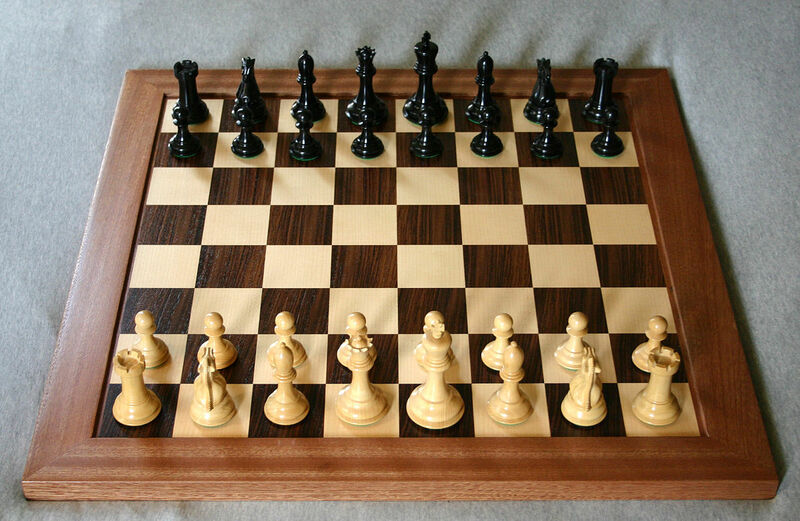 © 2012 Sarasota Scholastic Chess. All Rights Reserved.